The Isle renamed their new restaurants Otis & Henry’s. 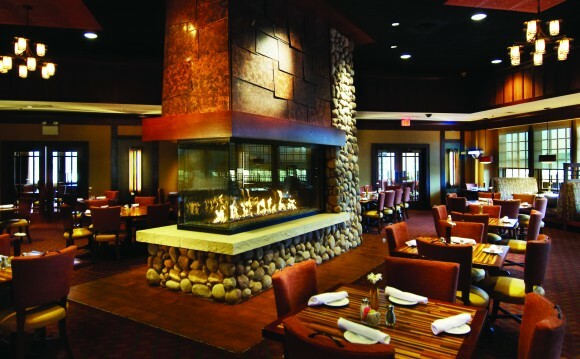 “Our renovated comfortable atmosphere priced our entrees from the high teens to under $30. More composed and balanced platters, without heavy sides, resulted in increased cover counts and cash,” says Block. Similar changes have occurred in Las Vegas. The high-end Wynn Resort recently closed its luxurious Alex restaurant, but its remaining restaurants still offer quality in more informal settings. Other Las Vegas properties have followed that lead, although gourmet dining rooms operate throughout the city. On the East Coast, Atlantic City’s regionally diverse demographic creates varied dining issues and marketing opportunities for casinos. Under new management since November 2010, Trump Entertainment Resorts Inc. seeks to change course in all areas of its locations. The three sites offer multiple casual and fast-food choices, but maintain fine dining venues. New Corporate Vice President of Operations Mike Mellon emphasizes the need for the Taj Mahal’s three upscale restaurants-Il Mulino New York, the Safari Steakhouse and Dynasty for Asian dining. “We attract a younger, hipper Philadelphia, North Jersey and New York retail clientele who seeks weekend fine dining, fun and entertainment. Our valuable rated players also expect superb restaurants. Both are necessary for us, especially because of the limited retail customer traffic we see on weekdays during the winter months. We must offer sophistication and quality food from our chefs. On weekdays, we often offer fixed-price menus to appeal to convention attendees,” says Mellon. No matter the ambiance or pricing, a dining room’s cuisine must always present itself to reflect an excellence in quality and service. Every customer expects no less.